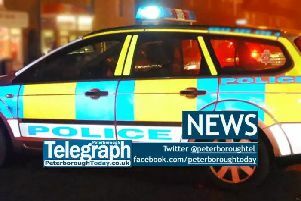 Police in Peterborough have recovered around £2.8 million worth of drugs believed to be cocaine - the biggest raid in the county’s history. The drugs were discovered after a car was stopped by police yesterday afternoon, Wednesday October 5. The vehicle was stopped on the A1139 at about 1pm before officers discovered the drugs. A 36-year-old man from the West Midlands was arrested on suspicion of possession with intent to supply class A drugs and has been bailed to return to Thorpe Wood Police Station at a later date.